Final thoughts . 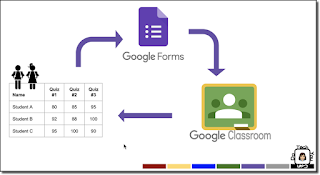 . . Forms is the perfect tool for assessments, but don't let this be a limit. Have a worksheet? Create it in Forms. Add in a video or two for students to view as they work through it. Want to work in a little intervention? Use the "Go To Section Based on Answer ..." option with multiple choice - this allows the student to be directed to a questions based on what they selected. Ready to get started? I hope so. I hope this workflow helps you. Please refer to it as often as you like. If you get stuck or have a question, please reach out to me in the comments below or on Twitter @kiefersj or even via email, sarah@techyoucando.com . Thank you for sharing this! The steps are easy to follow and I enjoyed the pro tips! I'm so glad! Thank you for taking the time to let me know it's helpful. Great job, Sarah! Very detailed along with varied methods of instruction. I'm not real sure what QandA exactly is, but I'm always happy to share!